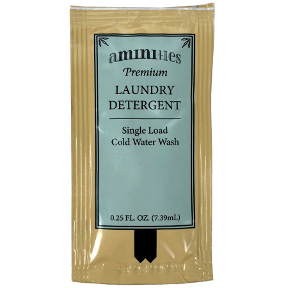 0.25 fl oz travel size laundry detergent in individually sealed packet. Lightly scented. For use with cold water. Does one load. Convenient travel size packet. Take it with you on the road. Hotels, Inns, and B & Bs -- your guests will love these convenient packets. Made in the USA.